To contact us please use the form below, or phone on this phone number. Please allow 2 to 3 days notice for a walk booking. Thanks! We are a small company who provide a very personal service. This service would inevitably suffer if we used lots of guides. It would be the luck of the draw if clients got the best or worst guide. So we only have one guide, the owner, Ian Porter. When you book, you do so in the knowledge Ian will be your guide. Ian is an expert on the Jack the Ripper case. 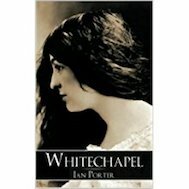 He has written a highly acclaimed novel, Whitechapel, set amidst the 1888 murders and is a highly regarded public speaker and writer on the Victorian East End in general and Jack the Ripper in particular. He has also appeared recently as a panellist on a special Jack the Ripper Question Time from Whitechapel. Ian studied 19th Century Urban Poverty in England at the University of Birmingham and was awarded the Chancellor’s Prize for outstanding achievement. 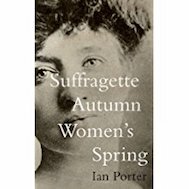 Ian is presently writing his second novel, set in the world of suffragettes.